A 5 day tour in a winter wonderland where we visit the most famous places of Iceland and hunt for the Auroras. Accommodation included. Individual transfer from Keflavik airport to Centerhotel Plaza in the heart of downtown Reykjavik. Today, we visit the Golden Circle and end the tour near Vik where we will stay for two nights. The highlights of the day are Thingvellir National Park, The Great Geysir hot spring area and Gullfoss the golden waterfall. Along the way, we stop at a horse stable, and a green house where the guests get to taste fresh and juicy Icelandic tomatoes. 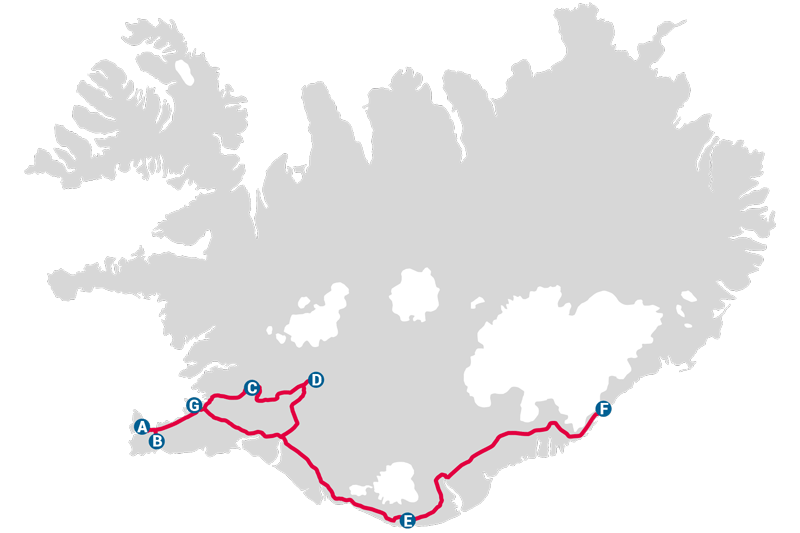 Day Drive along the iconic Icelandic black sand, passing glaciers to the Glacier Lagoon and Skaftafell national park. Walk on the black volcanic sands, green hills, and get close to the many beautiful waterfalls of the South Shore. We will visit the new and exciting Lava Centre in Hvolsvöllur. It is an interactive, high-tech educational exhibition depicting volcano activity, earthquakes. It also shows the creation of Iceland over millions of years. Take a dip in the Blue lagoon before heading back to Reykjavik. 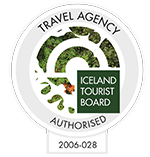 Individual transfer from Centerhotel Plaza to Keflavik airport or prolong your stay in Reykjavik. Weekly Thursdays departures from middle of October to end of March and weekly Tuesday departures from middle of November to end of March.